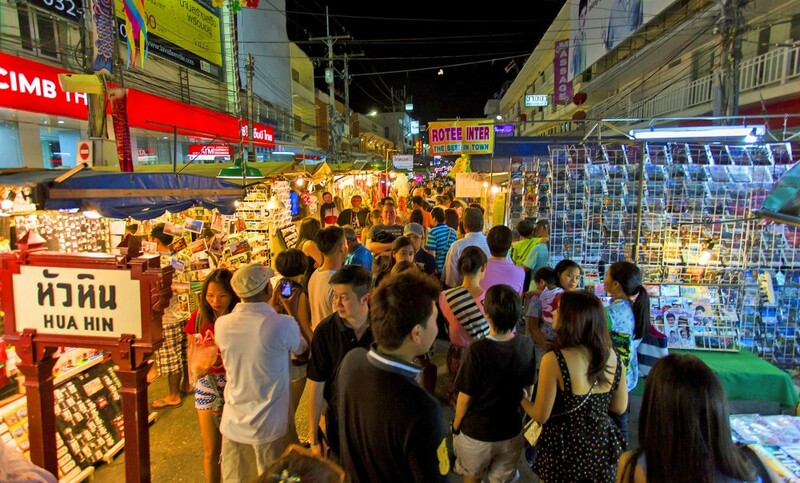 Entertainment Like Chiang Mai Night Bazaar, the mere market experience is entertainment in itself. 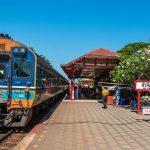 Here is where you can get a real grasp of local culture and opportunity by practicing your Thai during the bartering process. 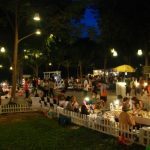 Even if nothing on offer suits your fancy, just walking around and soaking up the atmosphere is a great source of entertainment with the various street vendors and live entertainers around. Most of the restaurants on the street double as bars where you can enjoy a beer or cocktail while watching the crowds move up the street. 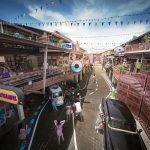 At the top end of the street moving away from the sea, you will come to Prapokklao Road, which is lively street consisting of shops, bars and restaurants. 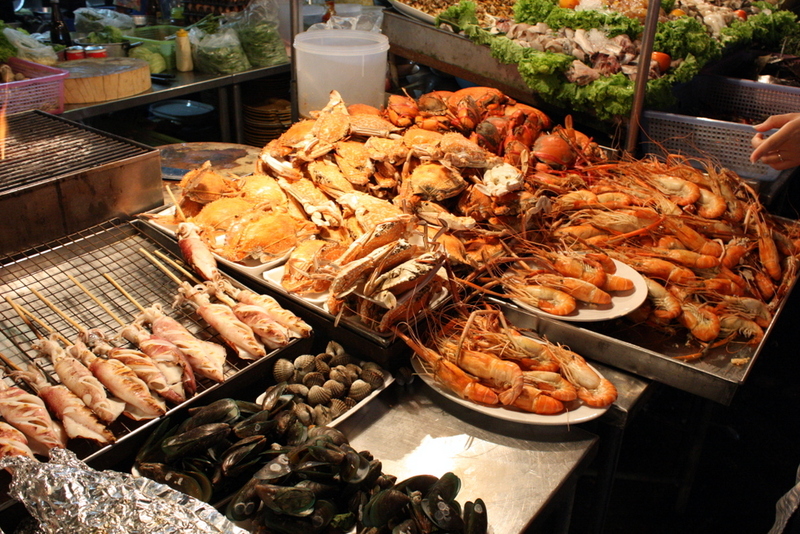 The seafood restaurants in this part of town are incredibly popular due to their atmosphere, quality of food and Thai-style low prices. With minimal space between each establishment, you can pretty much expect the same thing from each place and prices that closely compare to their neighbours’. Each restaurant usually has a small vending station outside where food is both prepared and sold on a street food basis. The usual seafood ice trays laden with freshly caught fish, crab and lobsters might help sway your choice – the bigger the better. 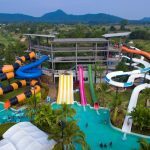 From experience we can recommend that Khaimuk, Rod Yai and Ko Seafood are all worthy choices with excellent food coming in wholesome portions for a lot less than you will pay in the west. Other than seafood, steaks and western-style BBQ dishes can be easily found. 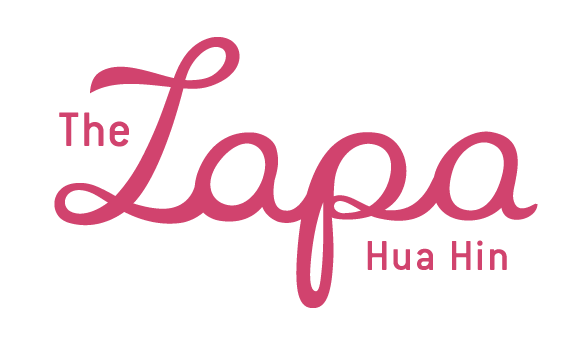 Check out our Hua Hin Dining Page for more information. 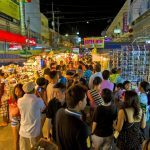 What to Buy Primarily, Hua Hin Night Market is a place to indulge in food and drink but that is not to say that the shopping should go unmissed. As any savvy market-goer will testify, finding the good stuff is more often than not about getting into the thick of it – keep your ears and eyes peeled in other words. The sort of stuff you can expect to see goes along the lines of jewelry, crafts, some Buddhist tokens, beachwear, funky lamps and some counterfeit goods. The counterfeit goods here don’t feature as prominently as say, Bangkok, but you can still get your hands on a good ‘Chanel’ handbag or pair of ‘Adidas’ trainers. Women’s fashions in the form of dresses, skirts, shirts and tops feature quite prominently as do accessory stands where intricate, hand crafted pieces can be bought. Essentially this is a good area for some pre- or post-dinner shopping, especially if you’re looking to buy souvenirs or traditional Thai crafts.